Sometimes meeting deadline with right structural solution makes successful project. 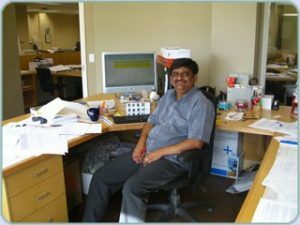 Kalpesh is a senior structural engineer with over thirty years of structural design experience including reinforced concrete, post tension concrete, structural steel, masonry, and wood frame structures. He has designed residential, commercial, and institutional buildings as well as health care facilities. Kalpesh has a proven track record of maintaining involvement from the beginning to end the projects. Kalpesh is well known for his ability to handle large projects where deadline and project management are essential. Kalpesh has an ability to make use of the latest engineering software such as PCA program, Adapt, Stadd pro and AutoCAD. He is an outstanding mentor to young engineers – guiding them in their profession by cultivating their skills in design and analysis.